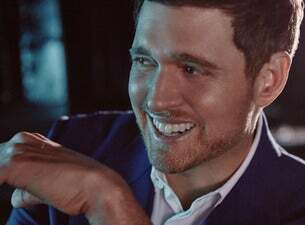 Canadian crooner Michael Bublé is a four-time Grammy Award and multiple Juno Award winner who first gained worldwide acclaim in 2005 with the release of his fourth studio album, It’s Time. He followed that up with 2007’s Call Me Irresponsible and 2009’s Crazy Love. His last album, Nobody but Me, was released in 2016, before he took a two-year hiatus to support his family following his young son’s cancer diagnosis. He's now back with a string of new dates for 2019 and new album, Love.